A pedagogist and teacher with over 40 years experience in primary schools. In addition to teaching, he has for many years been intensely involved in research on methodologies and teaching tools for mathematics. He is particularly interested in designing tools which make teaching easier and school less heavy going for teachers, pupils and parents. 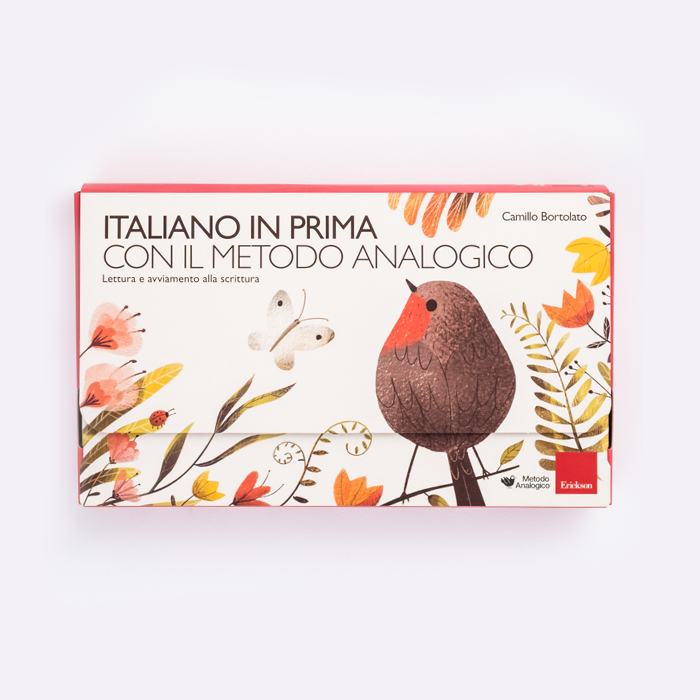 The Bortolato Analogical Method appeals to children’s intuition to transform learning into a joyful flight of discovery by focusing on the innate way they learn. 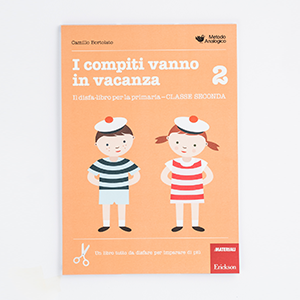 From 2005 to today more than 1.000.000 children in Italy have used the Analogical Method and its materials. 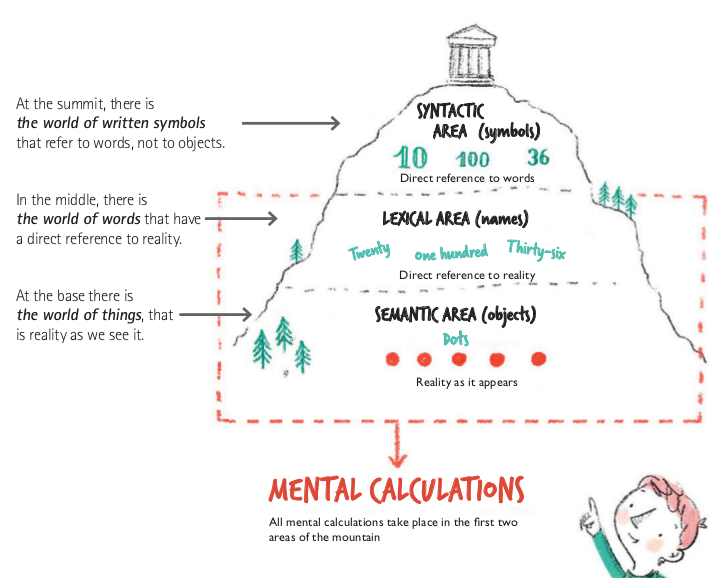 How is the mountain of knowledge composed, in detail? Why is everyone talking about tens and units and zeros and exchanges? Why is the most important thing for the teacher not fingers or quantities, but the writing of numbers? 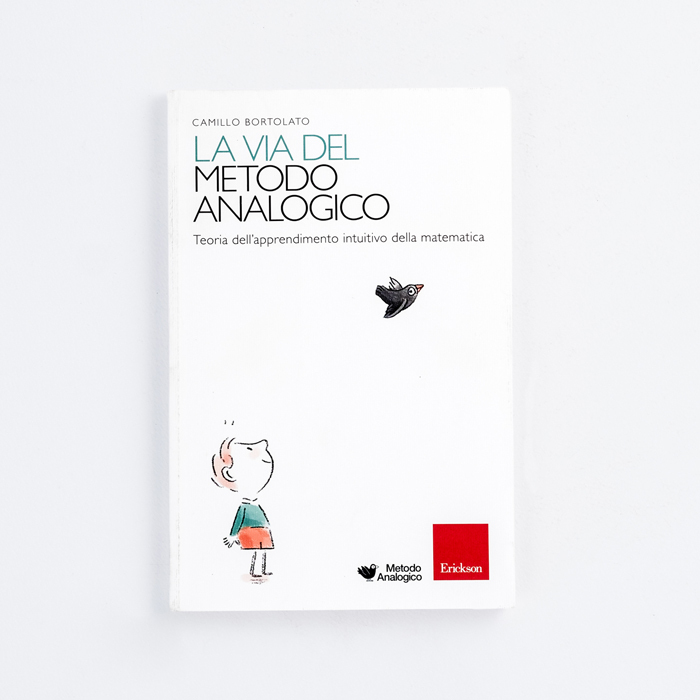 The teacher Camillo Bortolato proposes another way, at-a-glance perception or instinct of amount. “We perceive amounts representing them in our minds as dots and do not need years of correspondence, seriating and classification to be developed in school. These are abilities that we have been given from birth”. 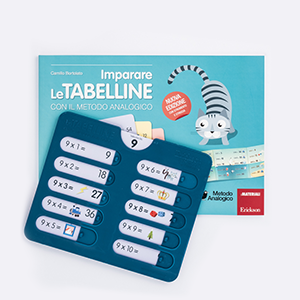 Here are the tools designed by Camillo Bortolato to introduce the “the heart’s path” for intuitive learning of mathematics. • DOING (Drawing, colouring, pre-writing) is devoted to developing the child’s graphic skills, improving observation and precision. 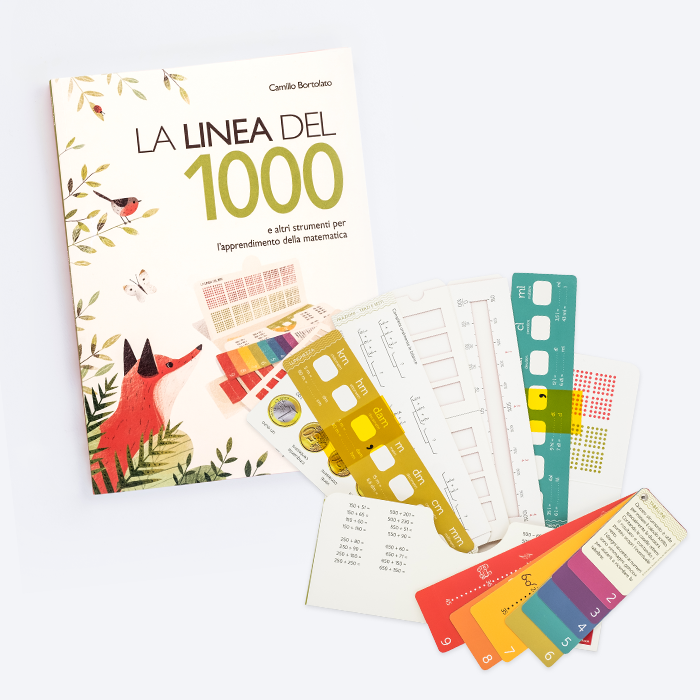 • COUNTING (Intuitive reading of quantities) is devoted to the intuitive reading of quantities of ten, a hundred and a thousand and comes complete with two small tools designed for learning how to visualise ten and a hundred. 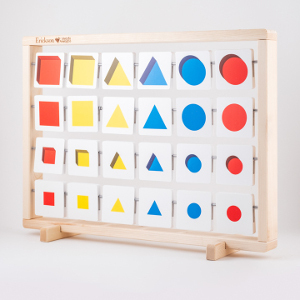 • THINKING (Classifying objects – Logical sequences) groups together exercises of classification and reflection through logical blocks and other methods. 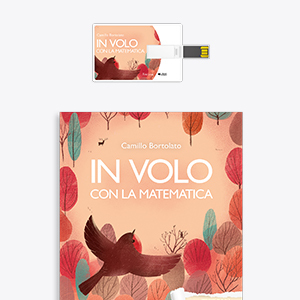 In flight with mathematics (APP and SOFTWARE) is a collection of activities based on the Analogical Method designed to approach mathematics naturally and spontaneously, for children in pre-school and first grade. 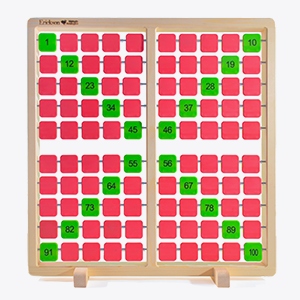 In addition to the free version, which allows you to play and practice numbers right away with the first activities in “The House of Numbers,” In flight with mathematics is available both as a software (on a USB Key) and as an APP. 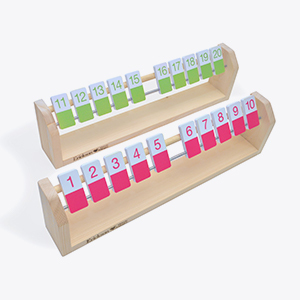 The Line of 20 is the alternative to colored rods in primary school maths teaching. The method valorizes the intuitive skills of children and is a fun and easy method that can be used immediately. It allows arithmetic operations within the number twenty and shows that these arithmetic operations are first of all simple actions such as adding and taking away. 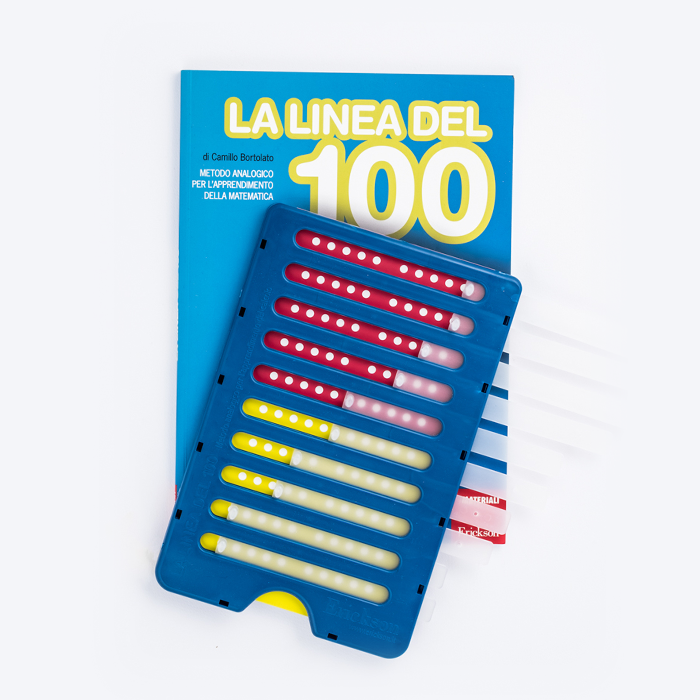 Relying on natural cognitive skills, The Line of 100 can also be used with children who have never been exposed to the Analogical Method. The method is based on an “analogical calculator” built as a 10-shelf wardrobe. Moving the bars sideways, the student can make additions and subtractions, and immediately understand what it means to divide and multiply. This workbook contains a full set of mental and written calculus exercises and problems. 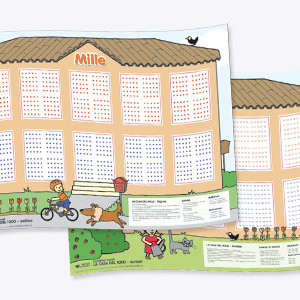 A series of exercises based on visual-phonic facilitating associations, which transform multiplication tables into an enjoyable and rewarding cognitive "challenge". The text is organised into illustrated practical tables, where images and “hook” words play a fundamental role. 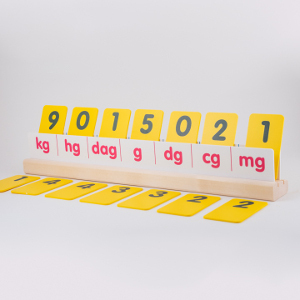 The attached tool, complete with 8 cards, lets you learn the use of times tables in a simple and immediate way, exploiting the spontaneous approach of the analogical method. 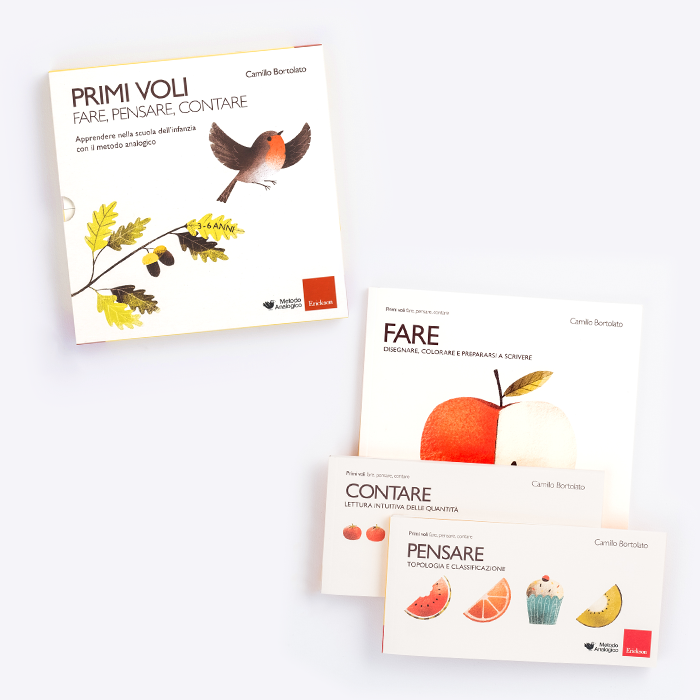 The Line of 1000, enriched with a new look and new illustrations, continues to represent a path of essentiality and clarity in working through the curriculum for primary year three. With the same distinction of objectives, mental calculation and written calculation using the four operations, fractions, decimals, the Euro, equivalences and the basics of geometry are dealt with; particular attention is placed on learning times tables. The problems in the last part give pupils a chance to apply the skills their have learnt. 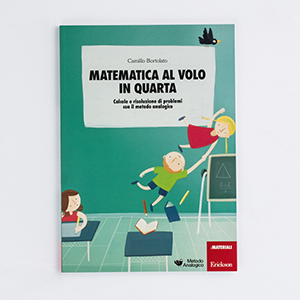 The volume presents the syllabus for 4th class maths through the Analogical Method. The method is designed for the whole class, not only for students with learning disabilities. 525 exercises to conquest all the skills required for the curriculum of the fourth class, such as the 4 operations, problems with texts, problems on fractions, percentages (intuitive calculation) and geometry. 430 exercises, almost entirely “self-correcting” and divided into 3 sections: numbers, problems and geometry; they enable students to develop and strengthen the formal program of the fifth class, as well as suggesting a number of activities in preparation for secondary school degree. 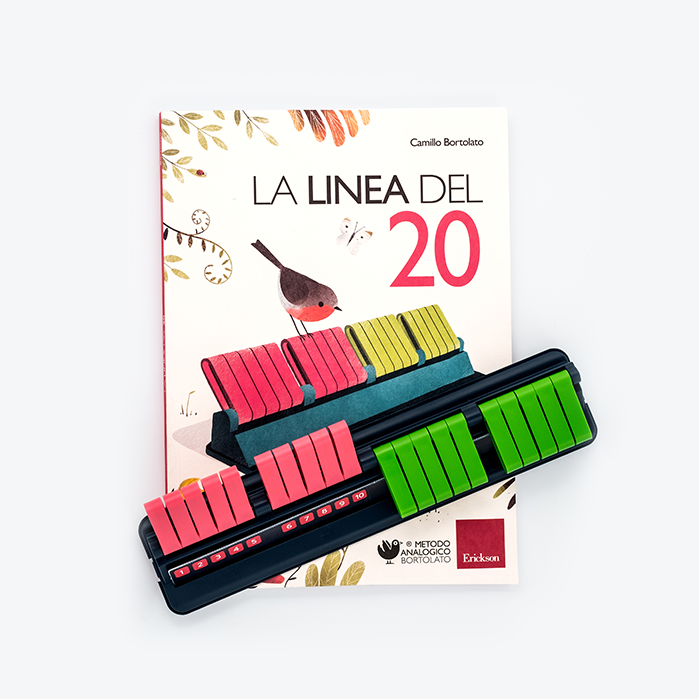 The program fit all children, even those who have never used the tools of Analogical Method and it is particularly suitable for students with difficulties. A goniometer is supplied together with the book in order to allow the creation of parallel and perpendicular lines, construct and measure angles, measure bases and heights. 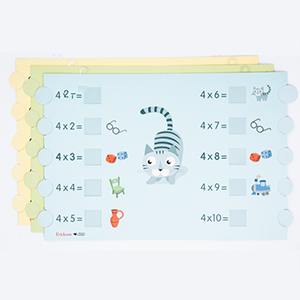 By turning traditional scholastic problems into picture games, inspired by Sudoku and other brainteasers, Breaking down problems has a therapeutic value for all those children who mistakenly identify mathematics with the operations of the discipline. Targeting primary school children and upwards, the exercises offered are turned into useful, entertaining games. Breaking down problems with a calculator will cause a revolution in schools, allowing children to tackle all primary school problems right from the first two years of school. This is due to the calculator, which substitutes the «algorithmic execution of the calculation». Children will develop these tricky, mechanical operations later on, as they require years of training and absorb nearly their whole time at school. 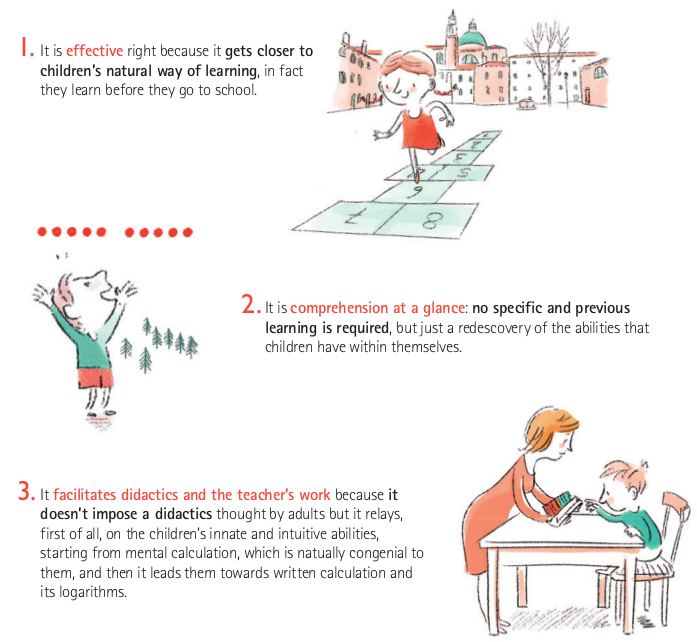 In this way children’s intelligence is freed and mental calculation is raised to the level it deserves. There is an easier and simpler way of learning how to read and write, that comes from the need to ease the burden of school for children, parents and teachers. 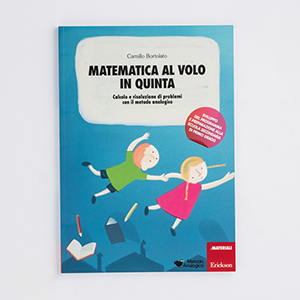 This simpler way is based on the Analogical Method developed by teacher Camillo Bortolato: the same essential principles applied in learning mathematics and the use of valid, meaningful tools for all children are extended to learning Italian. 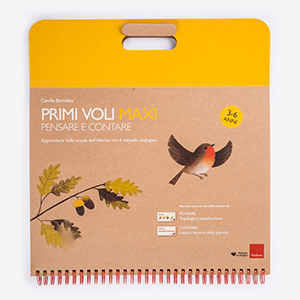 PITTI’S LITTLE STORY, which stars the robin we already met in First leaps, Doing, Thinking and Counting. 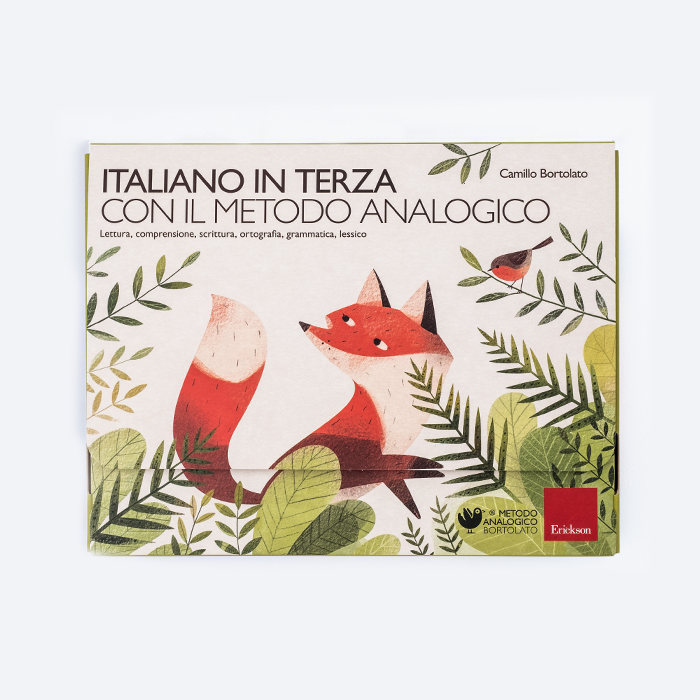 A story that each child can read by referring to the summary strip. 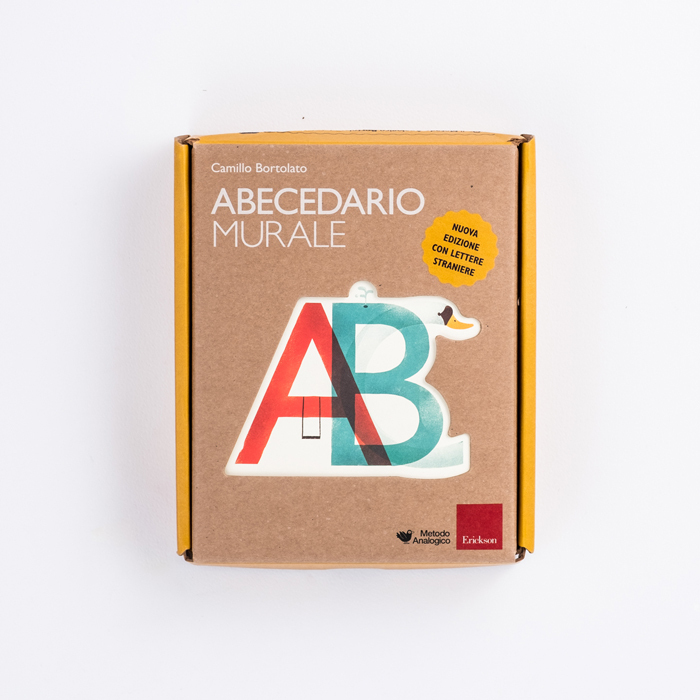 The Alphabet wall poster is a tool for presenting and learning the letters of the alphabet in just a few minutes, with the help of pictures which represent each letter. 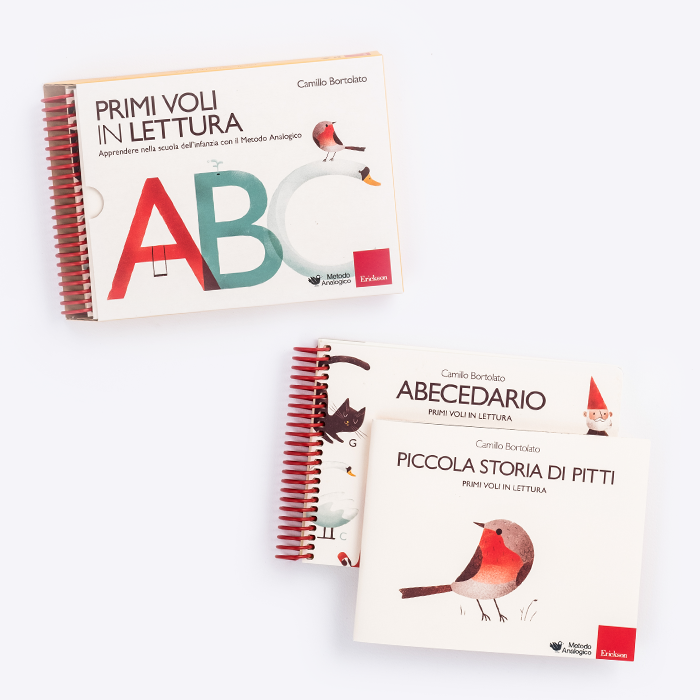 «Italian with the Analogical Method – year one» is a kit which contains all the necessary tools for learning reading and writing in primary year one: a strip holder to hold the strips, an erasable pen for writing on transparent film, 8 strips for introductory reading and writing exercises, the story book “Pitti’s Seasons”, the little exercise book of fonts for starting to write and lastly a guide for teachers and parents on how to use the kit. 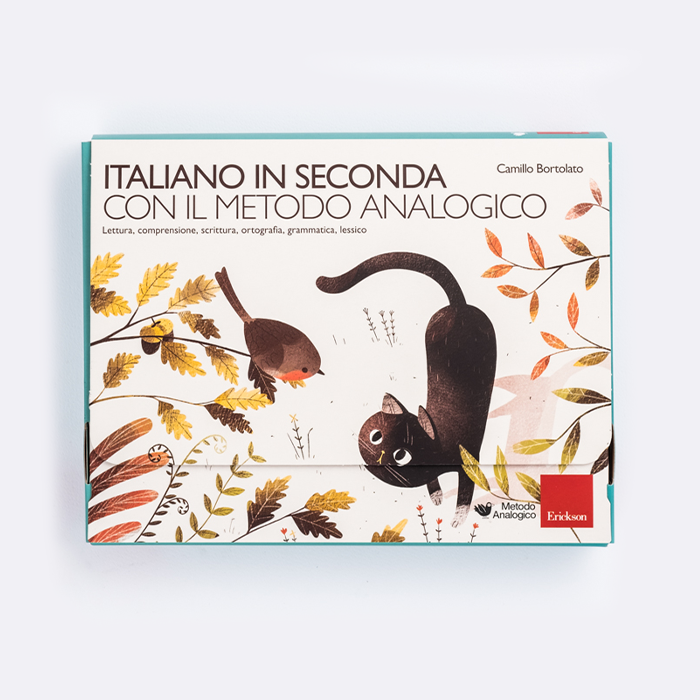 «Italian with the Analogical Method – year two» is a kit with all the necessary tools for learning reading and writing in primary year two. It comprises: the story book “20 stories plus Luna”, the writing exercise book for practising writing and also first attempts at text production; 8 desk strips to strengthen learnings; a desk strip holder to keep the strips visible on the desk; an erasable pen for writing on transparent film and lastly a guide for teachers and parents on how to use the kit. production of a text, comprehension, vocabulary, spelling, and grammar. THE WRITING EXERCISE BOOK	A notebook for practicing not only handwriting, but also the first attempts at independent writing. 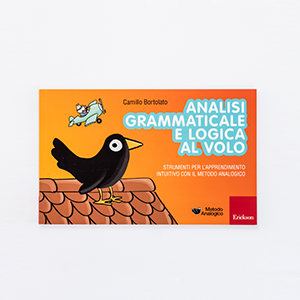 Thanks to this volume, grammatical analysis becomes a game of putting every single word into the correct container, and instead logical analysis turns into a tour around the neighbourhood observing each house and finding its unique characteristic. 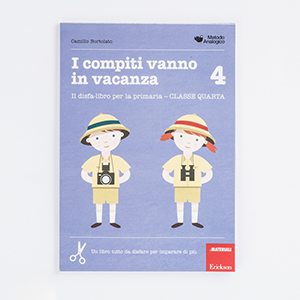 The «Playful Learning» series does not offer the usual boring “workbooks for the holidays.” On the contrary, it is a set of cut-out cards that can be taken with you away while travelling, which fit into special bags provided with the book. 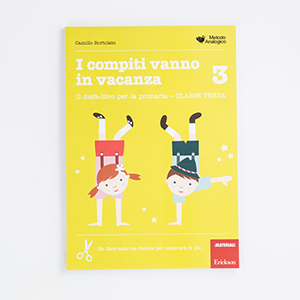 While travelling by car, on the beach under an umbrella, in the mountains, or before going to bed, children can review what they have learnt and challenge their friends. 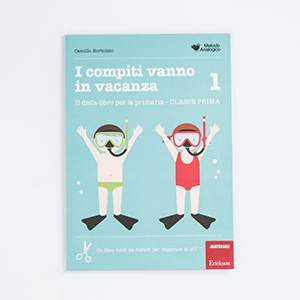 This book speaks directly to teachers and- by using its usual language clearness-it explains the principles which inspired the author, how the idea of this method was born, the reason why it works so good and the best ways to propose it to the parents. At school some pupils always finish the exercises given to them too quickly, putting off others and causing teachers problems, as they don’t know how to keep them occupied. 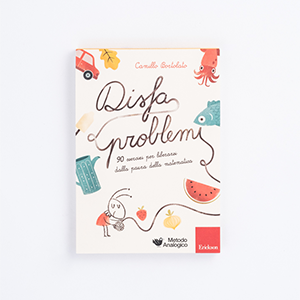 Concentration and calm with patterns and mandalas offers a solution to this «lack of harmony», presenting — for primary school children and, more generally, for children with difficulties — a journey in drawings designed to be easy to understand and long to carry out. This lets those who have finished their work to calmly fill in their free time and those who have yet to finish not to feel under pressure.